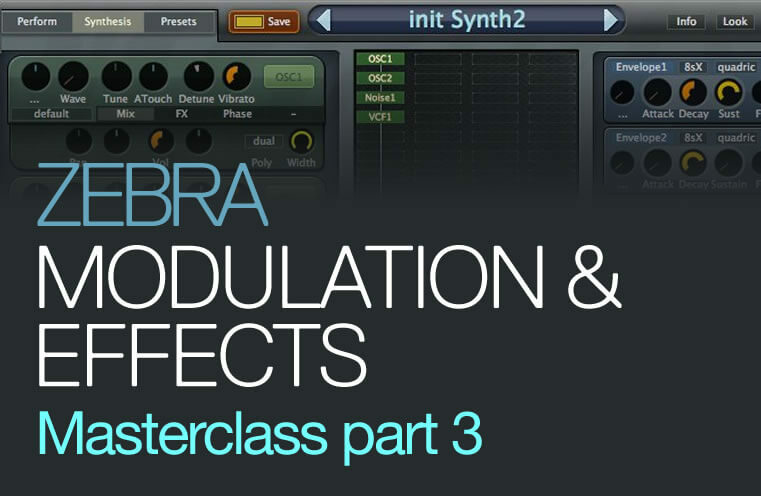 Zebra Modulation / FX Masterclass is the last part to a 3 part tutorial series on U­he’s Zebra Synthesizer. There are lots of modules that are very unique and useful for creative sound design but a little bit tricky to learn. In this course you will first learn all the theory behind the modules, what they do and how they work. This course includes 15 videos totalling over 200 minutes of in-­depth instruction. Regardless if you are a beginner or a skilled sound designer this course will provide you with new creative ideas to expand your knowledge and get some new fresh sounds and approaches to synthesis. Important Theory, Why does it do that? When you are working with synthesizers it is important to realise that all these modules work with math, they do things because they where intended to do that! Knowing the theory behind the modules allows you to create sounds faster, more creatively and it helps a lot when trouble shooting! 1.1 The Basics – I explain the Zebra routings and the main interface for those who have never worked with zebra – basic signal flow etc. 3.2 The FM Oscillator – Here you will learn about the FM Oscillator. This is an oscillator but also a module that you can use inside your signal path to manipulate sounds even more. 3.3 The Noise Module – If you’ve always thought noise was unusable check out this video. You can make some great sounds with just noise, even leads and killer bass sounds! 3.4 The Sideband Module – In this video I will show you how to use the sideband module to get some great FX sounds, a very unique module! 3.5 The Shape Module – This distortion unit can give a nice warm edge to your sounds, or completely destroy it, it’s up to you. 3.6 The Ring Module – Ring Modulation is an old technique with a familiar sound. In this video I will show you how to create these classic sounds but also show some tricks to get really unique sounding effects and leads. 3.7 The Arpeggiator – Zebra has a very advanced arpeggiator that can be tricky to get your head around. In this tutorial I will show you all the basic stuff but also the highly advanced rhythms and melodies that you can create with it. 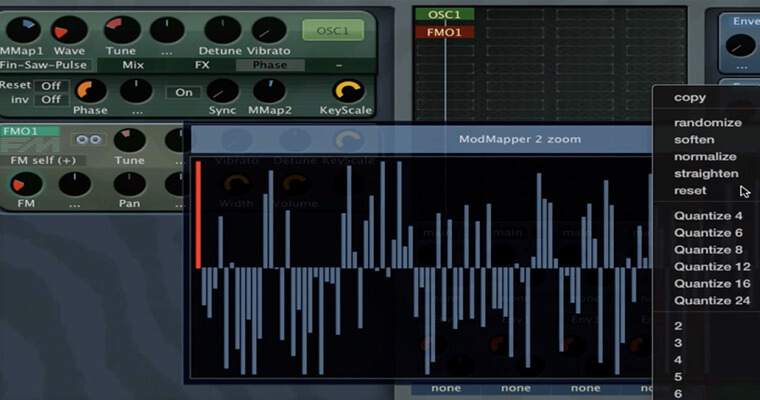 After we’ve learned about the sound mangling modules in Zebra we also take a look at the many modulation possibilities, with videos about the MSEG’s, the LFO and the more advanced ModMix en ModMap modules. The last 3 videos are pure in depth sound design classes, I will take you on a tour designing professional sounds with Zebra and explain every step along the way. 3.8.1 and 3.8.2 The MSEG – This should be your favourite tool, a very advanced envelope that you can use on anything you want in Zebra to create rhythm, melodies, FX, wobbles or whatever else you want. 3.9 The LFO and GLFO – Never knew the difference? 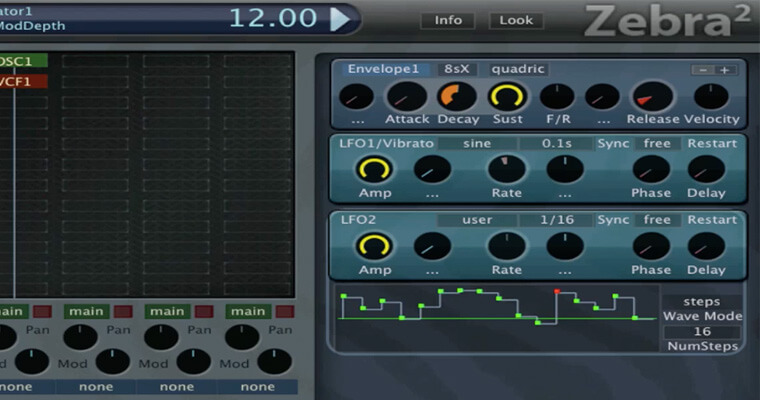 Check out this video to learn everything about the flexible LFO’s that Zebra has to offer. 3.10 The ModMap – The ModMap is a tool for those who are not afraid to dig in deep, this advanced module allows you to create custom modulation paths that go between your modulator and your source, it has lots of great uses! 3.11 The ModMix – Mixing modulation like a pro! 3.12 Output FX – This lengthy video will show you all the output FX with all their parameters, what they do, why they do it and how to use it. Definitely a must watch! 3.13, 3.12 and 3.15 The Practical Examples – These 3 videos are great for picking up tricks or learning more about advanced sound design. I will show you how to make 3 deep patches and explain every step and every decision that I make. If you’ve watched the first two series on Zebra’s Oscillators and Filters you already know a great deal about this synthesizer, all what’s left are the different modules. The modules inside Zebra can be a little bit tricky, some of them have weird names, others look weird or don’t have an interface at all, this caused me to check them out way to late. But when I finally did my sound design improved a whole lot! I started out by reading all sorts of articles explaining the origins of the modules, Ring Modulation, for example, has a long history in synthesizer land and it has been used over the years to create a variety of unique sounds. U­-he takes all these classic modules a bit further, improving them in a way that is only possible in the digital domain. So after that I started practicing with these modules for over a year and got really confident with them. Now I want to share this knowledge with you and show you some of the great things that you can do with these modules. I will teach you cool tricks that I’ve learned from others, classic sounds and lots of tricks that I’ve come up with myself. My goal is to teach you to work with a mindset wherein creativity and new ideas are constantly flowing, this way you will come up with amazing ideas yourself and share them with the world again. This way we make sure that our music keeps getting better and our sounds more awesome! I hope you gets lots of fun out of this course, and don’t forget to give me feedback or new ideas!